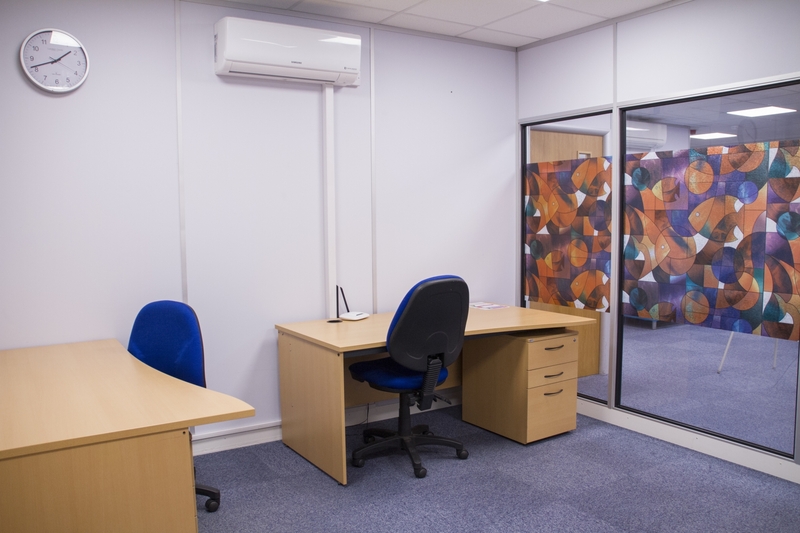 Flexible office spaces which can be adapted to suit your business, without the usual costs associated with renting large office space on a long term lease. 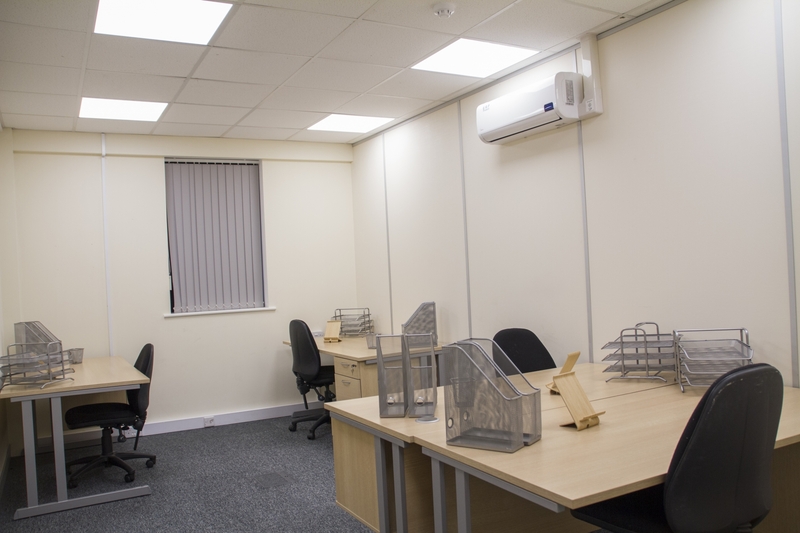 Our serviced offices have allowed our virtual office clients to move in without change in business address, businesses to upscale/downscale based on needs and growth, fulfil short term needs whilst permanent base in construction (e.g. Derby Heights; the care home provider) and to move in at short notice. What is included in your Serviced Office package? St. Christopher’s Way is situated on Pride Park, in Derby; a prestigious office campus, conveniently situated within one of the East Midlands’ premier business locations. Other occupiers nearby, on Pride Park, include Derby County Football Club, Geldards Law Firm, Cooper Parry, WebHelp, Midland Mainline, Rolls Royce and David Lloyd Leisure. "As a national service provider, location was absolutely intrinsic to the final decision about where our office should be, being so close to the train station provides us with the connectivity we need as a business. 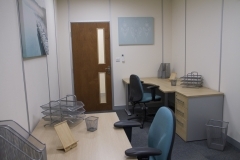 We’re all looking forward to utilising the variety of services on offer to support our aim of expanding the team to meet growing customer demand"
"The Business Hub portrays much more professionalism than some of the shared work spaces we looked at and we’re confident that we’re working alongside like-minded progressive businesses. The extra services on offer add real value and have made choosing the Hub an easy decision." 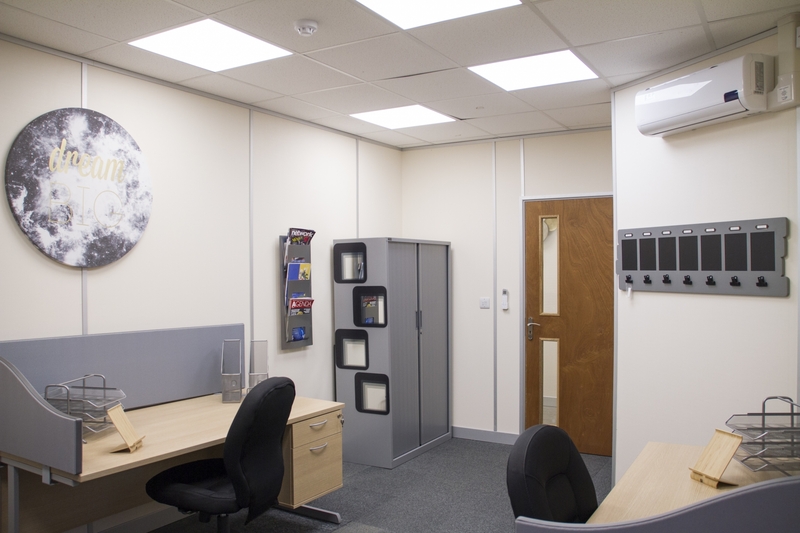 This includes: Furniture, air-conditioning, cleaning, electricity, parking, broadband, IP address, keys and alarm fobs. The suites we currently have available at 19 St Christophers Way are listed below. Suites at No. 20 St Christopher’s Way also have a fully manned Reception. To arrange a viewing, at a time of your convenience, either use a contact form, email us at info@oberoibusinesshub.co.uk or phone now on 01332 546 920 to speak to one of our team of advisors. "Setting up our business from the Oberoi Business Hub has proven to be one of the best decisions we made in the early days of starting out. The facilities, such as conference rooms, access to IT infrastructure, and being able to have the flexibility to move and add more space has meant there has been nothing stopping us from growing and expanding our work force." "The team here are wonderful; they are very responsive, the customer care is high and that chimes with our customer care ethos"
Q: Do you have flexible contract lengths? A: Yes, we have flexible contracts to suit you. From as short as 1 month to 12 months contracts are available. 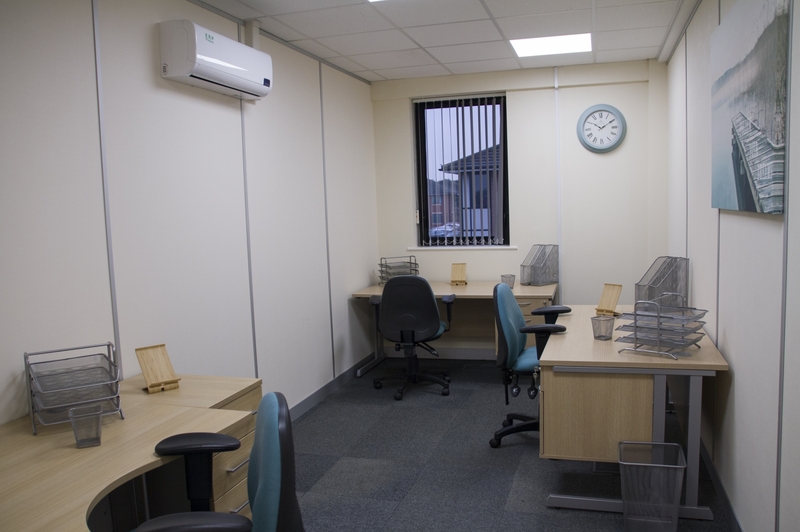 If you need more space this is available on a short term basis via our meeting rooms or other offices to sort your needs. Q: Can we start with a smaller office and expand in a couple months? A: Within our flexible contracts you have the option to expand or even get a smaller office if this is what suits your office needs. Q: Is parking included in the monthly price? A: We provide free parking for people using our serviced offices. 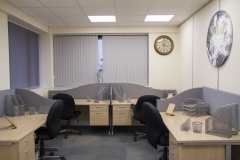 Q: How can I arrange to come and view the offices? A: We believe to fully understand the Hub you need to see it for yourself. We invite you to come and take a look around. Contact us to arrange a viewing that best suits you. I’ve used a serviced office for over a year and have been consistently impressed with the Oberoi Business Hub staff’s friendly, efficient and professional manner. I work with a number of East Midlands engineering and aerospace organisations and the Pride Park location is ideal for visitors. There are many other business support services on offer at the Oberoi Business Hub to tap into, as my business expands. Great location, excellent facilities, reasonable price!